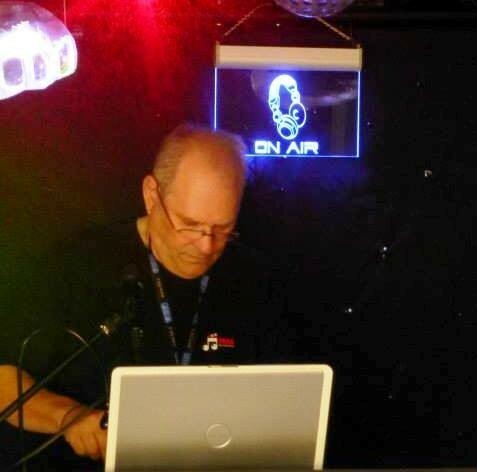 I have over 30 yrs experience as a DJ including Mobile Roadshows, Nightclub Residencies and guest appearances, I have also done agency work on the London Pub circuit and created my own "Megamixes" for Local Radio and The Disco Mix Club which provides pre-made mixes for DJ's to use at their gigs. During my career I have played to many different crowds and can cater for just about all musical tastes. 1977 - Started a mobile disco with my good friend Johnny Kolano, after we saw "Saturday Night Fever". We played at many Weddings, Birthday Parties, Anniversaries, Street Parties, welcome Home Parties, House Parties, Company Parties (You name it we did it!). 1978 - 1980 - Still doing Mobile but also secured residency at Wylyotts Manor Pub & Restaurant in Potters Bar, Herts and played to packed audiences every Sunday Night. My old pal Johnny Kolano left the business at this time due to work commitments and I started to do more and more club work. 1980 - 1986 - Resident DJ at The New Penny Nightclub in Watford on Thursday, Friday Sunday and at Caversham's in Reading working with live 60's & 70's Bands every Saturday (these included The Troggs, Vanity fair, Dave Berry & the Cruisers The Crystals, The Fantastics and Edison Lighthouse etc) on occasion I would sometimes work another club in the group called "Bo Jangles" in Stevenage. At the New Penny I was asked by the manager to try and come up with something for Sunday night as the Funk nights were not drawing in the crowds. I suggested we try a Futurist/ Electronic 80's Night . This worked great and ended up with a packed club every Sunday. Regular customers to this gig were 2 guys and a pretty Platinum Blonde girl called Shirley. The 2 guys were George Michael and Andrew Ridgley who asked me to play their demo tape. I said I would but only if I thought it was good enough, it was called Wham Rap and I was the first DJ to play it. The rest is history George Andrew and Shirley went on to become Wham! and Still regularly attended my gig every Sunday and would bring their new tracks for me to play before they were released. Whenever I had time I was still running the mobile disco and was appointed Vice Chairman of The Thames Valley Disc Jockey Association. 1986 - Moved to Swindon in Wiltshire and inspired by Michael Jackson's "Thriller" I created the first Halloween Megamix. I sent this to Tony Prince (Radio Luxemburg DJ and Founder of the Disco Mix Club). About a month later Tony called me and asked if I could re-create the mix at his recording studio and if I could incorporate a remix of Ghostbusters by his megamixer Sanny X. I travelled to his Studio in Bucks and met his team including Mix Champion of the year "Chad Jackson" who later released a hit called "Hear The Drummer Get Wicked". I re-created the mix with some help from Chad on using some of the studio equipment and it was released on their October 86 edition as "The Frightclub Megamix"
Due the success of this mix I was asked by the Palace Nightclub in Blackpool to produce a special mix for their spectacular lighting rig. I visited The Palace and timed all the motorised lighting to coincide with the mix that I produced which included classical and rock tracks, they were delighted with the results. Throughout the later 80's and 90's I was Resident DJ for a number of years at Vadim's Nightclub in Swindon. During my time in Swindon I became great friends with the late Sandy Martin and produced many Megamixes for his Discotrekin' program on GWR radio and also often covered for him at his prestigious Brunel Rooms Residency. Throughout my DJ career I have worked closely with many of the record companies promoting their new releases and artists. I moved to Derby in 1994 and did some agency DJ work at The International Hotel and other venues in Derby and then in 2005 drifted into retirement from the DJ business. Then 5 years ago my old Buddy Johnny Kolano asked me to to come out of retirement and DJ at his Birthday Gig. It was a great night and many people said I need to get back behind the mixing desk, hence The birth of TRAX Disco Roadshow . Trust me and my team of experienced DJ's with your special event, We won't let you down. I met Pete whilst looking for DJ's to cover areas further north and was impressed with his range of equipment and the professional look of his shows. 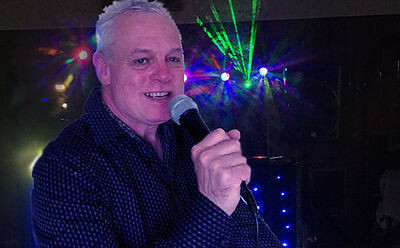 Pete learned the business by being a roadie for a large mobile disco company and watching and learning from their experienced DJ's, before venturing out on his own. When I met Pete he was just turning professional and becoming a full time DJ and would be needing any extra work that I could provide. Pete does do a lot of his own work at many venues and is not always available but if you book Pete you will not be disappointed as the 20 years experience has given him a confident approach to his DJ work and we are glad to be able to offer his services. DJ Tony has been in the DJ business Since the Glorious 1970's an era that truly inspired him to get into entertainment. Technology has come on a long way since then as we only had Vinyl records. Music has progressed through CDs to Digital allowing a much larger library of music, lighting has also become better with the advent of LED and Lasers. With over 30 years experience, Tony has a passion to do his best to ensure that all our clients have a great experience. 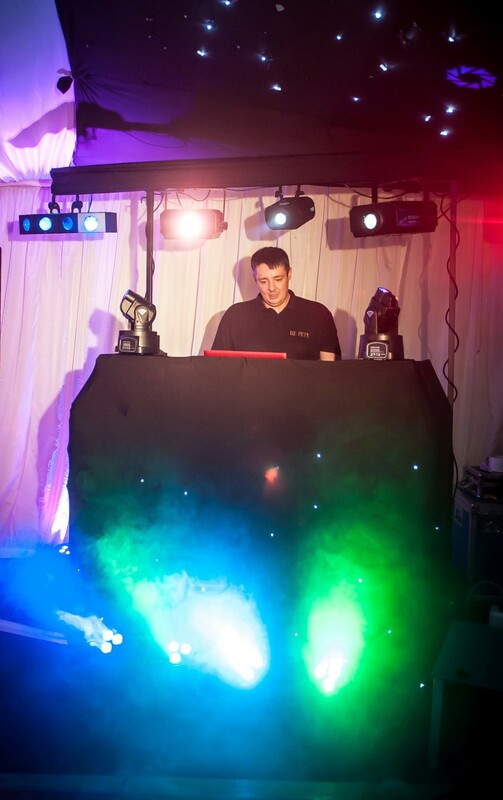 On DJ Tony's Packages you will find that Extras like Bubble machine,Glow sticks and personalised dance floor projection are all free of charge. DJ Eddy is the youngest of our DJ's in his early 30's but has over 10 yrs experience. He lives in the Chesterfield area. Eddy has worked with TRAX for about 3 years has always been popular and helpful to our clients, he is also an excellent DJ and we are proud to offer his services. He recently updated his show and added some new lighting effects etc, his new show looks very impressive. Nigel is a drummer in a popular Wedding Band and started DJing in between the band's set's. He enjoyed this so much that decided to also DJ separate from his band.